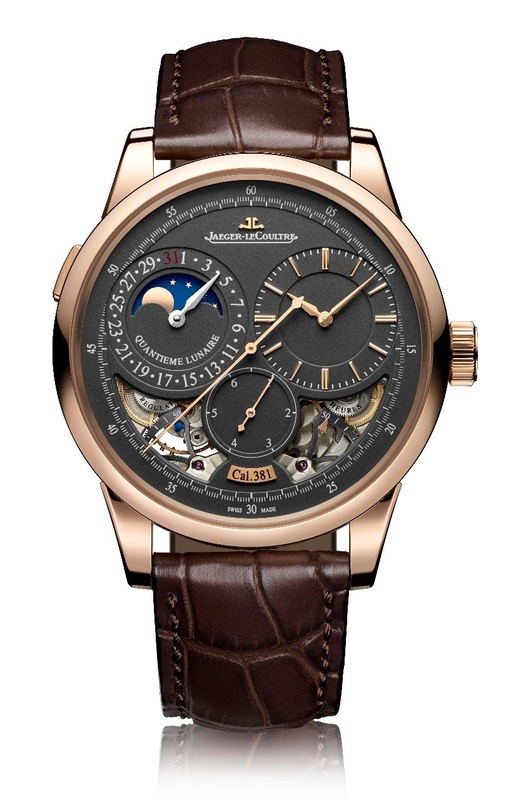 Jaeger Lecoultre Duometre à Chronographe / Quantième Lunaire / Spherotourbillon Rose Gold, Magnetite Grey dial. The Swan Song? In 2017, Jaeger Lecoutlre surprised us with the unveiling of three Duometres, the Chronographe, the Quantième Lunaire and the Spherotourbillon in rose gold with a magnetite grey dial, all having a 42 mm diameter. 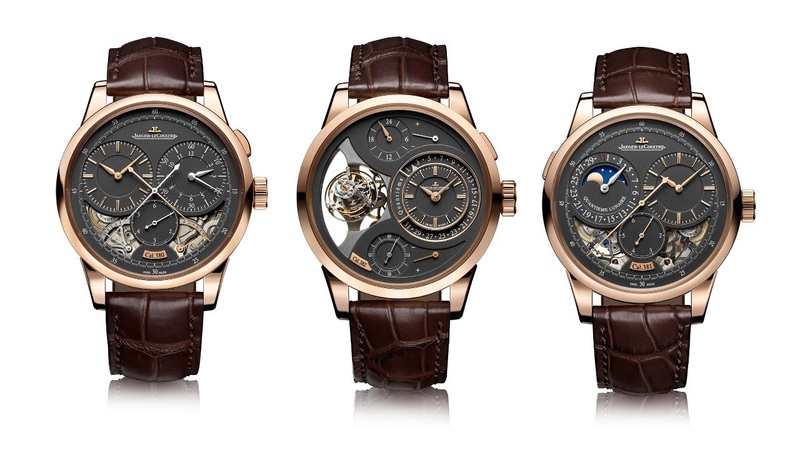 If the Spherotourbillon has a traditional opening for the... tourbillon, the Manufacture opted for the two apertures on the Chronographe and the Quantième Lunaire, when I would have preferred a plain dial. One thing is really magnificent, the combination of the rose gold case and this grey dial, though. But plain, it would have been even better, in my opinion. The other small changes: The spade hands, and the baton indices for the dial dedicated to Time which is an element of design borrowed to the Jubilée watches from 2013. I lost my own pictures of these watches, sadly, but here are the official pictures. I have been told, in 2017, that the Chronographe and Spherotourbillon are limited to 30 pieces, while the Quantième Lunaire is limited to 60 pieces. That being said, there are two things which are important, in my opinion. The most important thing is that the Manufacture keeps in mind that the Duomètre is a very important family which is worth being promoted, defended if you prefer. The second thing is that it is time for the brand to develop new concepts, to house new complications, and maybe, to revisit the design, for the case and for the dials. Not that I am unhappy with the Duomètre, I am totally in love with the Chronographe in white gold and I dream to own the Unique Travel Time and Quantième Lunaire Enamel, but we have to remember that the Duometre was introduced in 2007, in the catalogue. 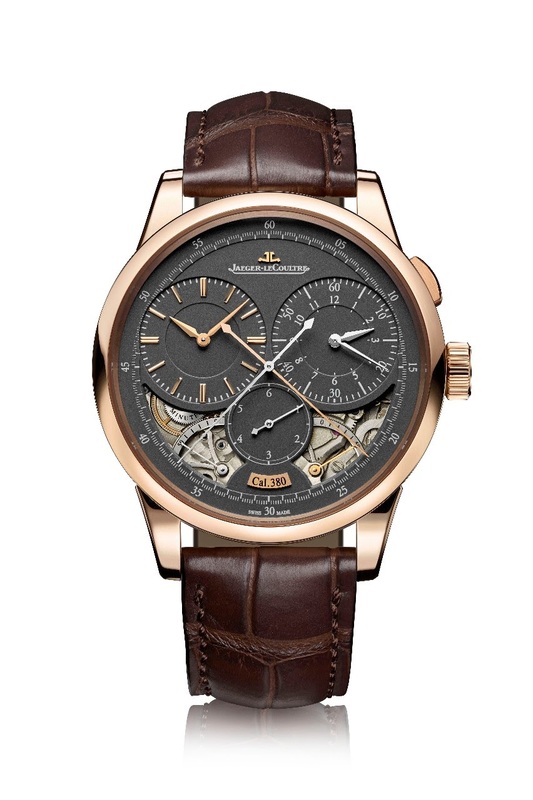 In 2019, that will be the 12th anniversary of the first model, the Chronographe. Since then, we had the Quantième Lunaire, in 2009, the Duomètre à Grande Sonnerie in 2009, the Spherotourbillon in 2012 / Spherotourbillon Moon in 2015, and the Unique Travel Time in 2013. There is also some room for some aesthetic improvements, regarding the case and the dial. Better proportions for the case ( thinner, and why not, a tad smaller ), revisited dials... And why not, a bit more enamel dials? And please, as we are it, let's stop with these apertures, or, why not, let's see a Duometre with a totally open dial! So, to answer to my own question, yes, I do hope that with these three " Mangetite dials ", we have a kind of Swan Song, you know, the best song for a goodbye and a rebirth! Amen to every detail mentioned above. 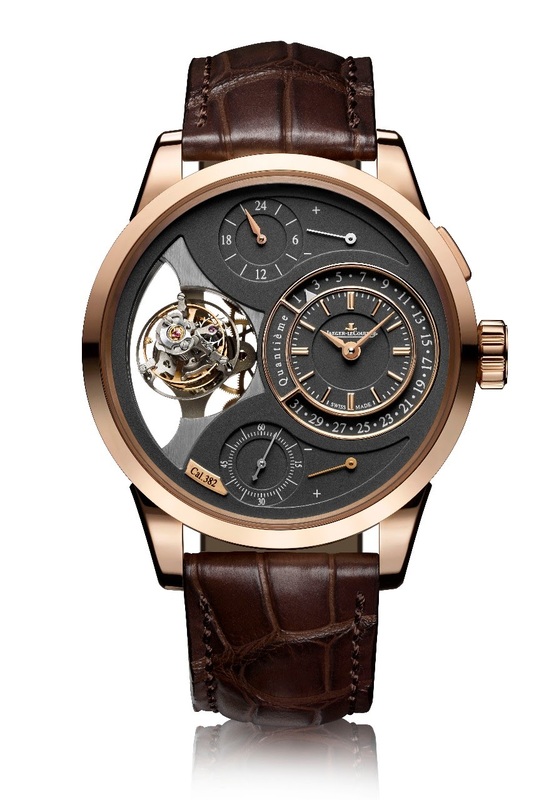 I would LOVE to see a complete openworked dial on a Duometre. you know that I am definitely in for any type of swan song from JLC regarding the Duometre family but... I would be first in line for a Duometre Rattrapante in titanium or tantalum and maybe a Perpetual of some kind as well. +1 for the Duometre Rattrapante in tantalum! So I will be the second to put my name on the list. or how about a Duometre Minute Repeater in titanium along the lines of the MMR ? Will we see a new Duometre in January is what I want to know!